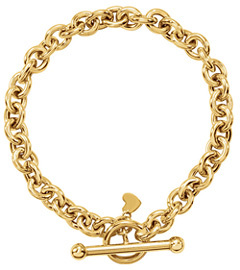 14k gold heart charm bracelet with secure lobster claw clasp. 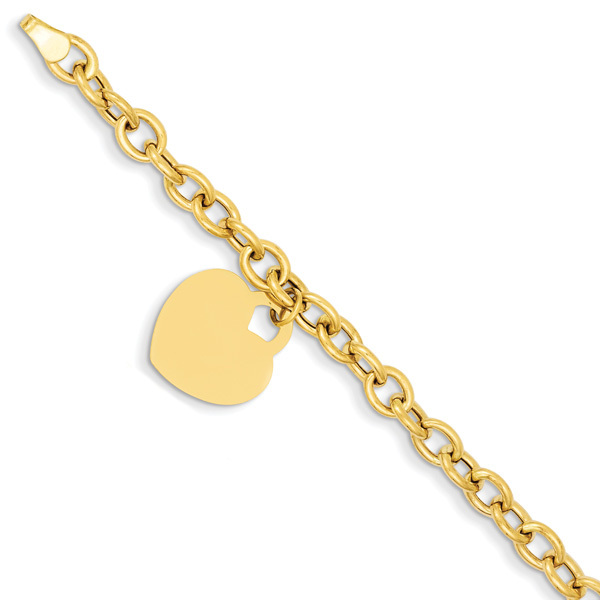 The bracelet measures 7.5" in length and can be engraved with up to 3 characters per side. The chain measures 5mm wide and the heart charm measures 5/8" tall x just over 9/16" wide. Weighs approx. 4.54 grams of 14k gold! Ships within 1 business day. If engraved, please allow approx. 4-5 business days before shipping. 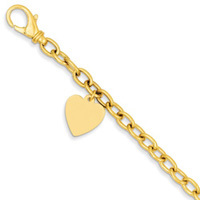 We guarantee our 14K Gold Heart Charm Bracelet to be high quality, authentic jewelry, as described above.